Every day, 800 women die because they are pregnant. More than half of the deaths occur in rural Sub-Saharan Africa, where the chance of surviving childbirth is the lowest in the world. 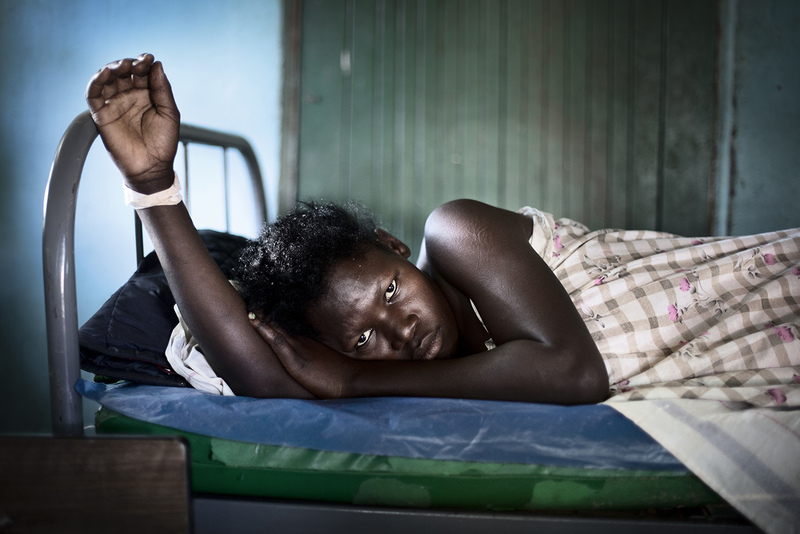 A lack of transport and poor access to adequate healthcare means many women bleed to death. 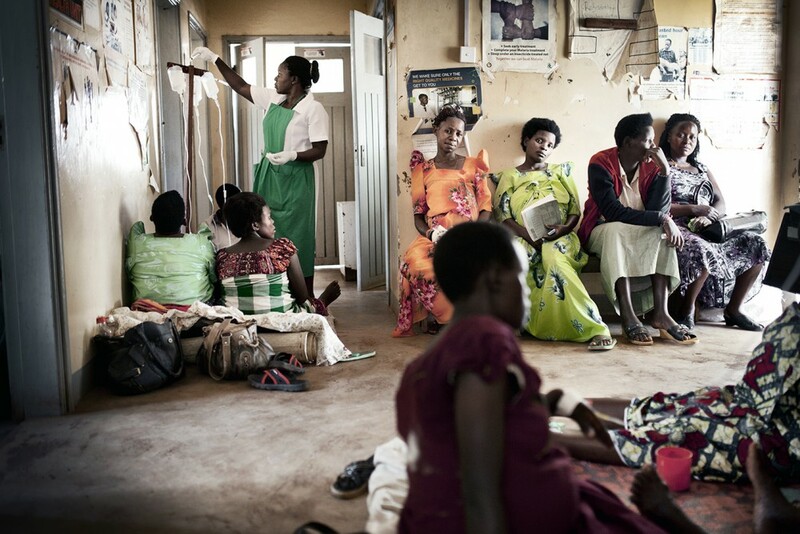 A few years ago, Ugandan authorities banned traditional birth attendants − who have played in central part in the country’s maternal care since the early 1980s − as a response to the high mortality rates. But the country lacks 1 500 midwives and many rural clinics are understaffed. 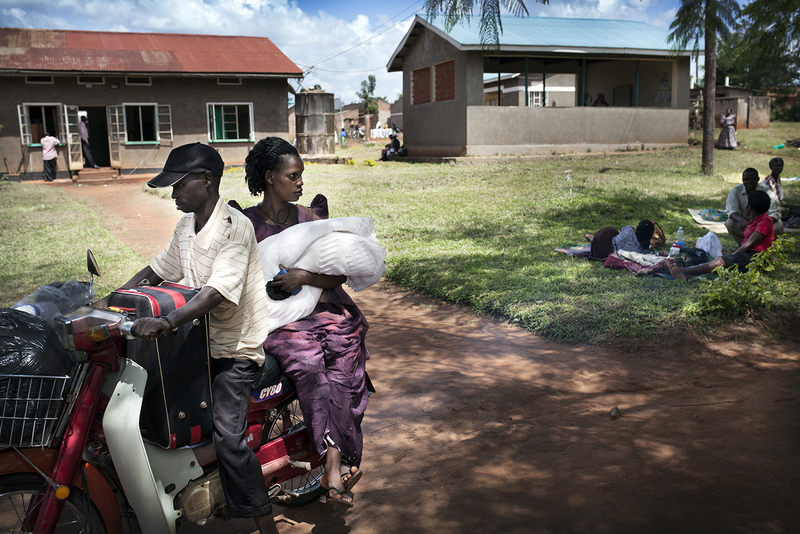 At Ntwetwe Health Centre, three hours’ drive from Kampala, 36-year-old Annet Namata has come to deliver her sixth child. A year ago, she would have been just another statistic. Her baby is breached and the umbilical cord is been wrapped around its neck. Last year, the young doctor would not have had a choice but to send the heavily pregnant mother to Kiboga hospital, a two hour drive along a dirt track. “By that time she would have a ruptured uterus,” says Dr Gordon Mayengo, the only doctor in Ntwetwe. But Annet is lucky. The small clinic has been equipped with an operating theatre and the medical team are able to perform a Caesarean to get the baby out. The theatre still lacks running water and electricity, but at least there is equipment to perform life-saving surgery. A few hours after surgery, Annet recovers from her ordeal. She is exhausted, but happy to be alive. “I want to continue to have babies for as long as I able to, but after this I’m a bit scared,” she says. Preparation for surgery of Annet Namata. Dr. Gordon Mayengo - Clinical Director and Medical Director at Ntwetwe Health Centre and assistant midwife Janet Olivia Malumaga and Annet Abdago. 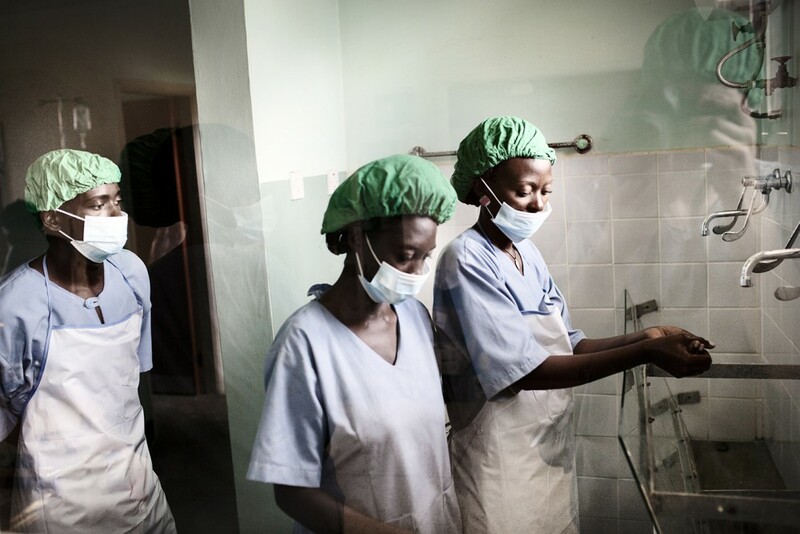 The small clinic has been equipped with an operating theatre and the medical team are able to perform a Caesarean to get the baby out. The theatre still lacks running water and electricity¸ but at least there is equipment to perform life-saving surgery. Overcrowded in the patient corridor. The pregnant women share space with each other while waiting for them to be investigated or that the contractions will begin. 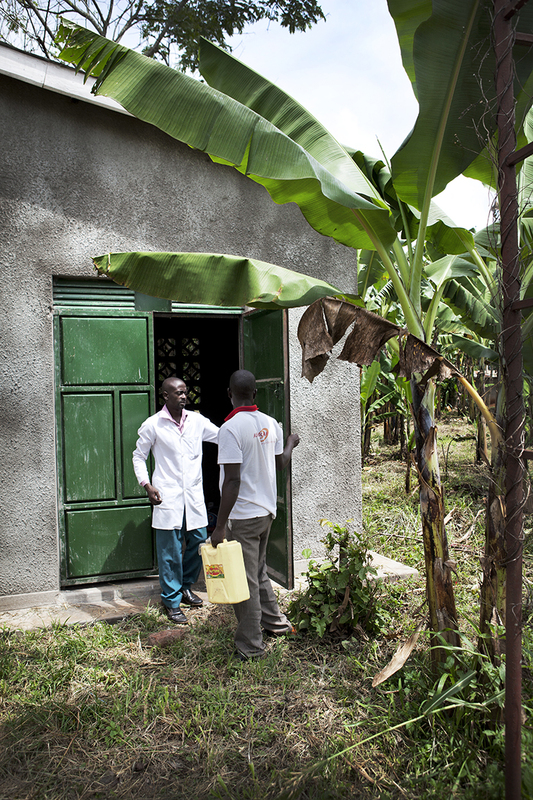 The midwife Juliet Nassahi check the drip for the malaria-affected pregnant women. 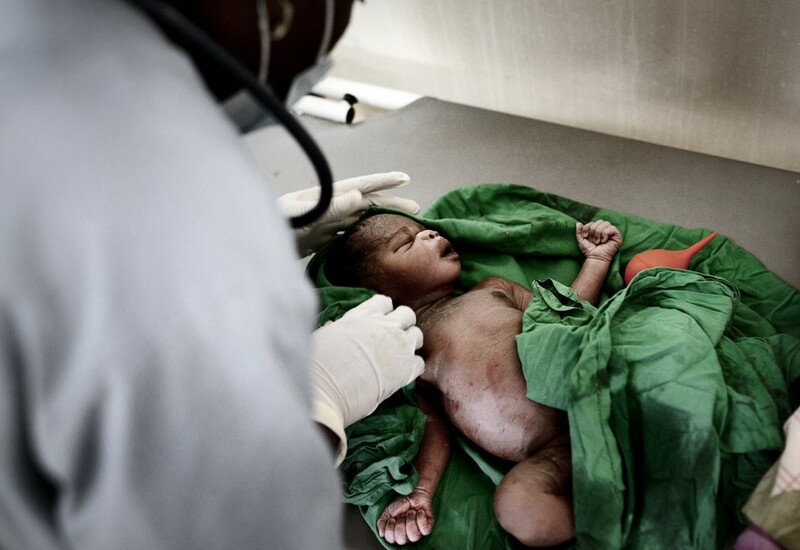 Rachel Kawala¸ 20¸ lost her baby¸ they had to do a emergency caesarean section but the baby survived only a few hours. 20-year-old Rachel Kawala has undergone three births¸ but only one child surveyed. 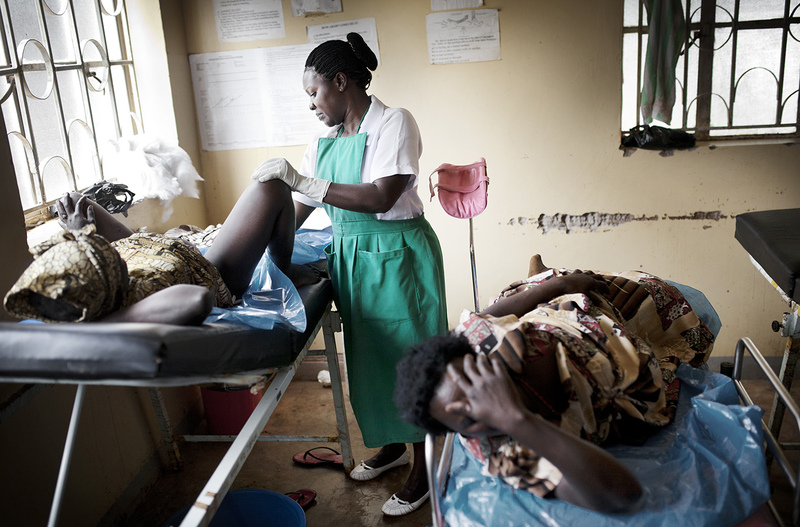 The midwife Ann Adongo giving birth to a baby to 18 year old Sharoni Babirye. It´s her first child¸ she previous pregnancy ended in miscarriage. They had to travel an hour on a motorcycle to get to the clinic in Ntwetwe. She was assisted by her mother¸ Angela Nyanzoga. 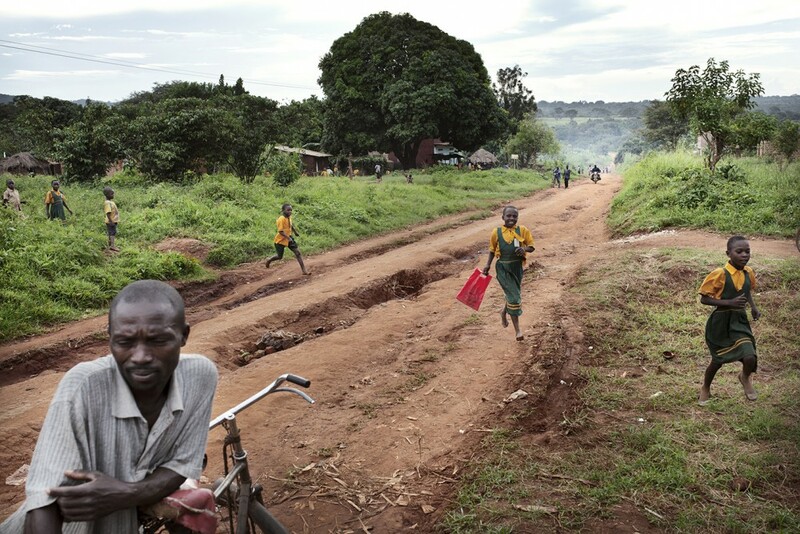 The road to Ntwetwe Health Centre outside the village Kibodja in western Uganda. Annet Namatas newly delivered son. Midwife Juliet Nassahi examines Precious Nyangoma. While Annet Namata awaits the medicine in order to be operated. For Jane Makayima, there is no time for recovery. 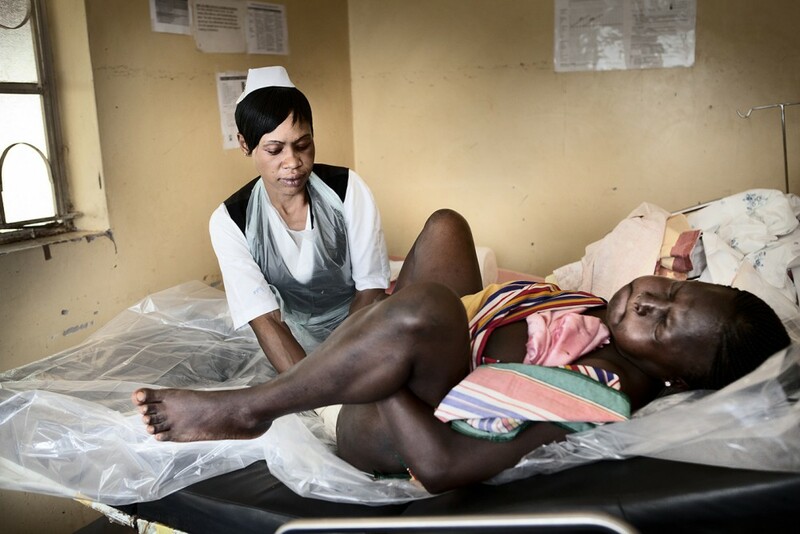 As soon as Jane Makayima have delivered her babe she was discharge and embark on a motorcycle taxi back home.The delivery room is crowded and needs all the room for new deliveries. Preparation for surgery of Annet Namata. Before the surgery, the patient's relatives have to go out and buy a 10 liter can of petrol so the generator can function during surgery. 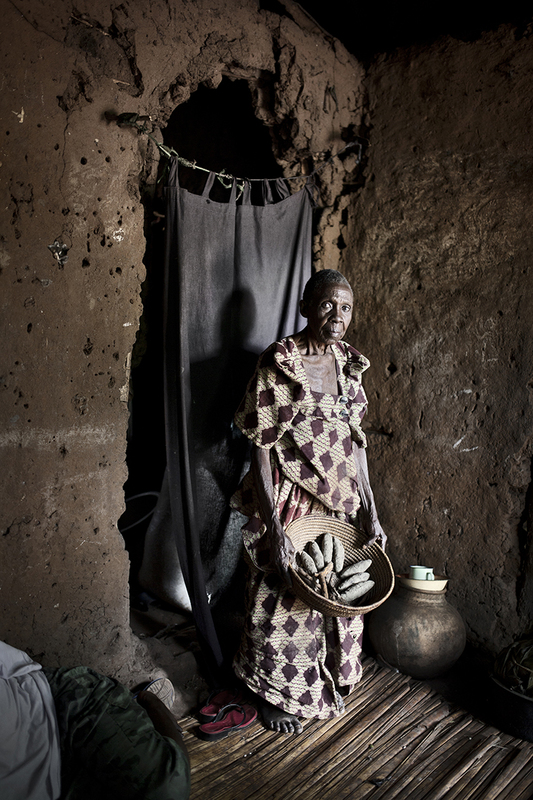 Ewumeli Nantume¸ 72 years old¸ traditional birth attendant in her home / delivery room. 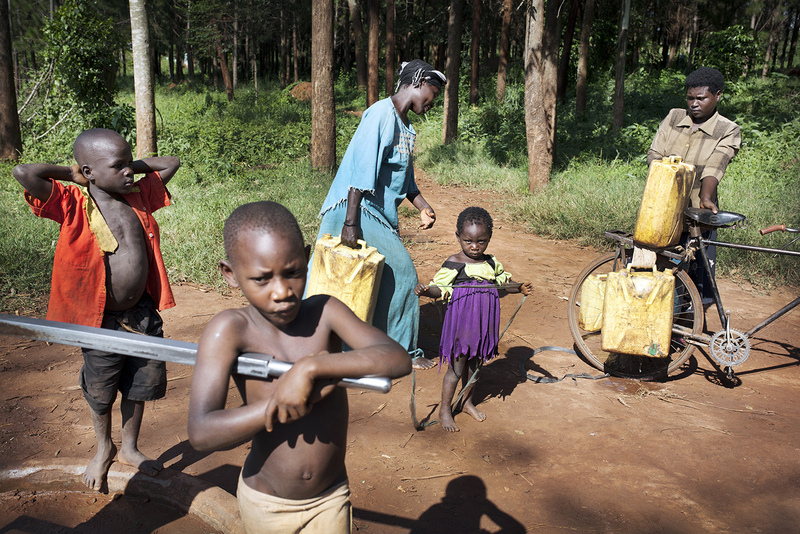 Jennifer Nassazi, the woman who fetches water with their children and a neighbor woman. Gave birth to a baby boy three weeks ago (Timothy).